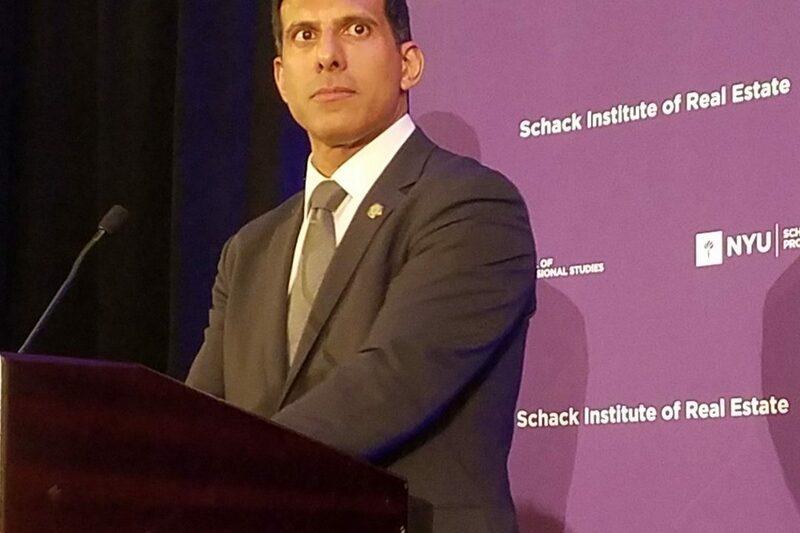 Talking Trends with Sam Chandan – National Realty Club, Inc.
Sam Chandan, PhD is the Larry & Klara Silverstein Chair in Real Estate Development and Investment and Associate Dean for the NYU SPS Schack Institute of Real Estate. In addition, Dean Chandan is partner, global head of strategy, and a member of the investment committee at Capri Capital, a multinational investment management firm with approximately $3.8 billion of assets under management in the United States and additional interests in Sub-Saharan Africa and India. He is also founder of Chandan Economics, a provider of multifamily and commercial real estate mortgage data and risk analytics to banks and bank regulators, and co-host of the Real Estate Hour on SiriusXM Business Radio. Dean Chandan’s commentary on commercial and residential real estate markets and the broader economy has been featured regularly in national and global press, including the Wall Street Journal, the Financial Times, CNBC, and Bloomberg. Among his recent publications, he is the editor and co-author of Real Estate Financing, published by PEI, and the lead investigator for Regulatory Design and Real Outcomes, a major study on the regulation of commercial real estate lending commissioned by the Commercial Real Estate Finance Council (CREFC). Dean Chandan’s applied research is focused on commercial real estate capital markets and risk analytics, as well as long term changes in space use patterns and the impact of these changes on cities. Leveraging his expertise in credit risk management and lender loss mitigation, he presents regular updates on commercial real estate lending trends to US and global regulators, including the Board of Governors of the Federal Reserve System and the Federal Deposit Insurance Corporation (FDIC). He holds an honorary appointment as the Economist Laureate of the Real Estate Lenders Association and has served on the real estate advisory council of the Federal Reserve Bank of Atlanta. Dean Chandan received his PhD in Applied Economics from the Wharton School and was a Doctoral Scholar in the Economics Department at Princeton University. In addition to real estate, his academic work has focused on issues relating to school access, poverty reduction, and development economics. In addition to his doctorate, he holds graduate degrees in economics and engineering and an undergraduate degree in economics, finance, and public policy. Dean Chandan was previously the Laurence and Susan Hirsch Adjunct Associate Professor of Real Estate at the Wharton School and a visiting professor on the faculty of the Economics Department at Dartmouth College. Prior to founding Chandan Economics, Dean Chandan was Global Chief Economist and Executive Vice President at Real Capital Analytics (RCA). During his tenure as Chief Economist and Senior Vice President at Reis (NASDAQ:REIS), he was part of the executive team that took the company public.